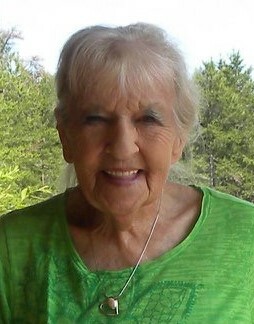 June M. Thielen, age 79, of Barnes, WI, passed away on Sunday, February 3, 2019 at Hayward Health Service nursing home in Hayward, WI. June Marie was born on December 12, 1939 in Bowling Green, OH the daughter of John and Irene (Reighl) Thielen. She was raised in Bowling Green and graduated from high school there in 1957. She moved to Wyoming where she worked with a family ranch for several years. June moved to Minneapolis, MN where she worked in sales for the Minneapolis Star Tribune. She was apart of the sales that established the yellow pages in Minneapolis, Denver and Seattle. In the late 1980’s, June moved to Danbury, WI where she operated Hi Haven Resort. While operating the resort June met David Jensen. On November 9, 2000 June and David were married at their home in Barnes, WI. Throughout her life June was an avid outdoors woman who loved to hunt and fish. She also enjoyed riding her Harley Davidson motorcycle and visiting with people who had experienced a loss. She loved her grandchildren dearly. June is survived by her two children, John (Tracy) Jones of Moorcroft, WY, Tamara (Brad) Brimblecom of Shell Lake, WI; five grandchildren, Clayton, Skye, John Travis, Shaun and Kyle; and several great grandchildren. She was preceded in death by her parents; husband, David Jensen; and brother, John “Jack” Thielen. A funeral service celebrating June’s life will be held at 11:00 a.m. on Saturday, February 9th, at Hayward Funeral Home with Pastor Gary Hilgendorf officiating. Visitation will be held from 10:00 to 11:00 a.m. on Saturday at the funeral home. A private interment will be held at the Barnes Memorial Cemetery at a later time. Casket bearers will be Nick Al-Noghrabi and Trace, Dennis Nelson and Oscar, Rick Mundle and Clayton Jones. In lieu of flowers memorials may be directed to Operation Frosty Paws to support the Sawyer County K-9 Foundation.